Jeju Island lies about 50 miles south of the Korean peninsula. A UNESCO World Heritage Site, the island comprises three noteworthy sites: Geomunoreum lava tubes, Seongsan Ilchulbong tuff cone and Mount Halla (pictured). UNESCO considers Geomunoreum the finest lava tube system in the world due to its multicolored and elaborate rock formations. The Seongsan Ilchulbong lava cone rises starkly from the ocean, making for an impressive sight. 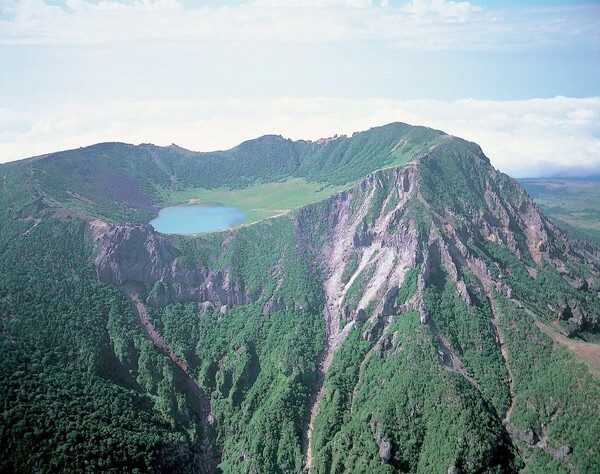 Mount Halla features waterfalls, rock formations and a lake-filled crater at its peak.